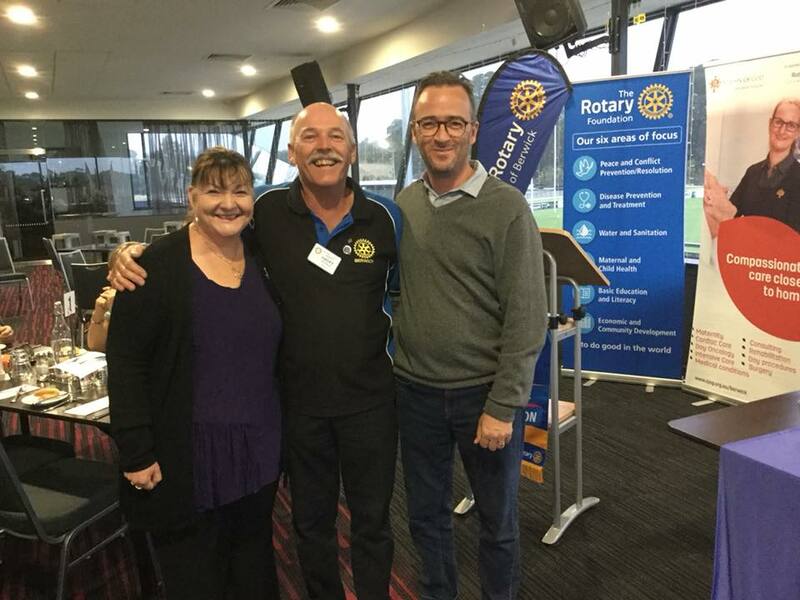 President Geoff welcomed our guests Sandra and Simon Allars from "Taking Care Mobile Massage". 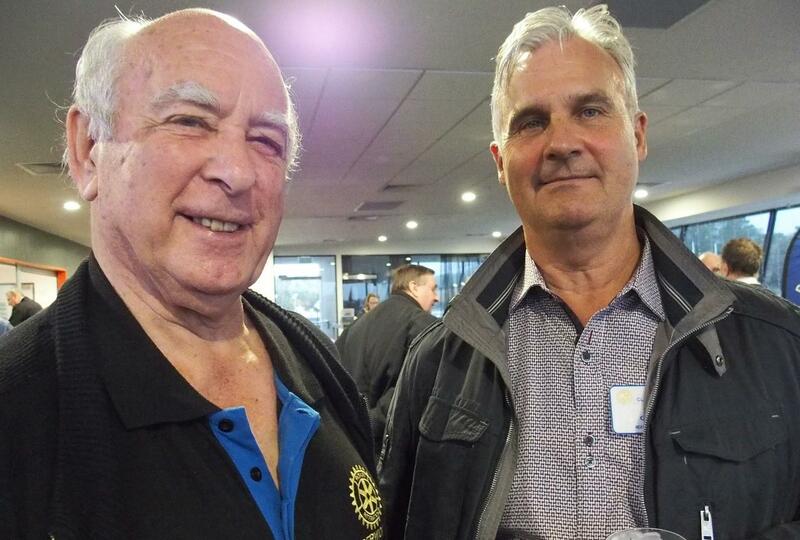 Sandra is also a member of the Rotary Club of Pakenham. 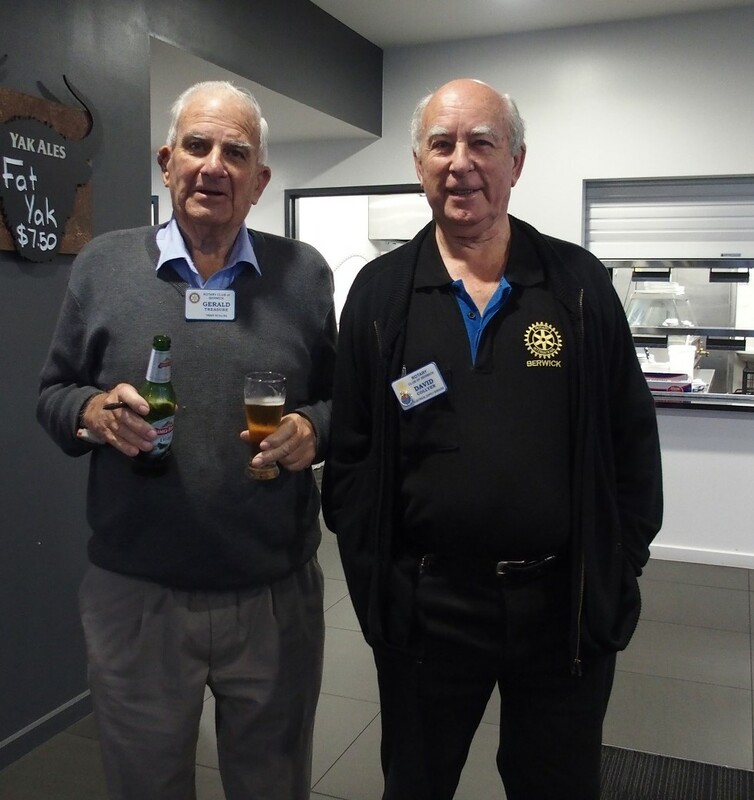 He then clarified the program of Club events for the next few weeks, with a special mention of the Bowls Competition with the Rotary Club of Monbulk next Wednesday. 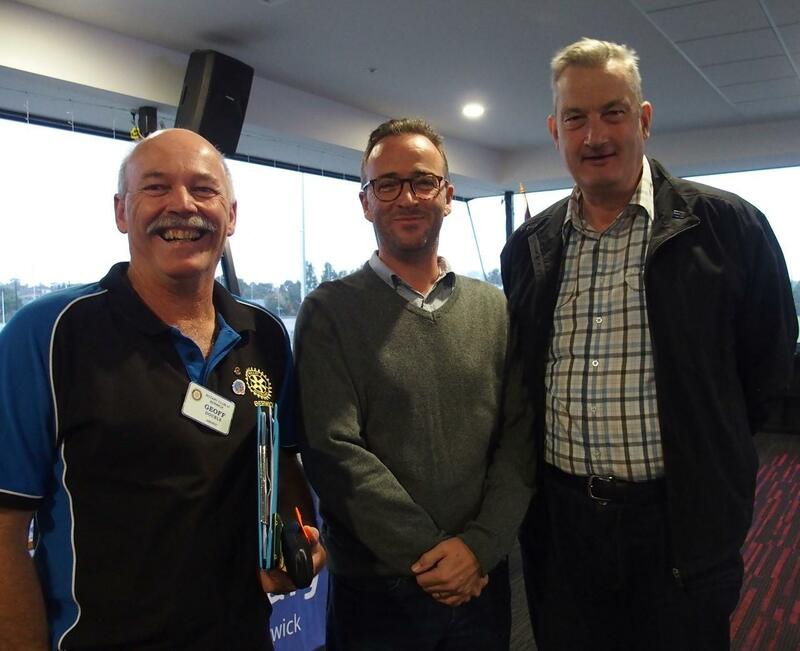 On Wednesday 17 April, there will be a vocational visit to Narre Warren CFA, so we will not be meeting at Holm Park Reserve for a few weeks. 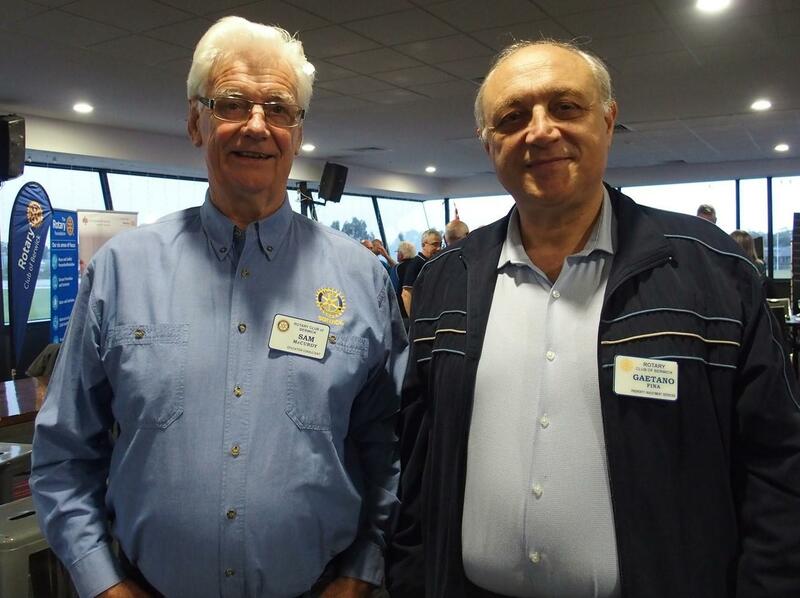 Geoff advised that we will have David Whiting as a guest speaker on 29 May. 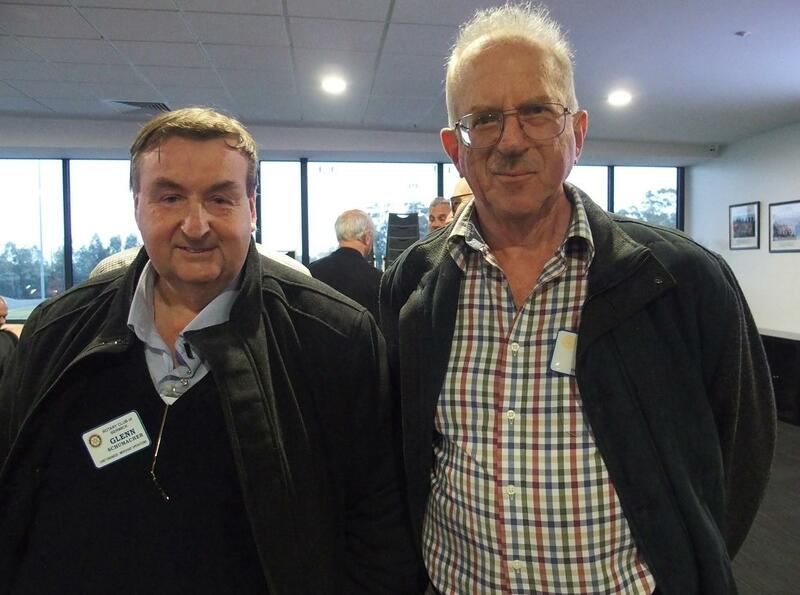 David is a lawyer who provides regular legal advice on the Jon Faine radio show. 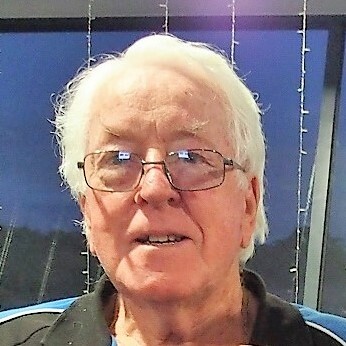 He concluded by stating that Rob Wingrave has been successful in gaining a $2,000 grant from the City of Casey to purchase more Walkie-Talkie radios. 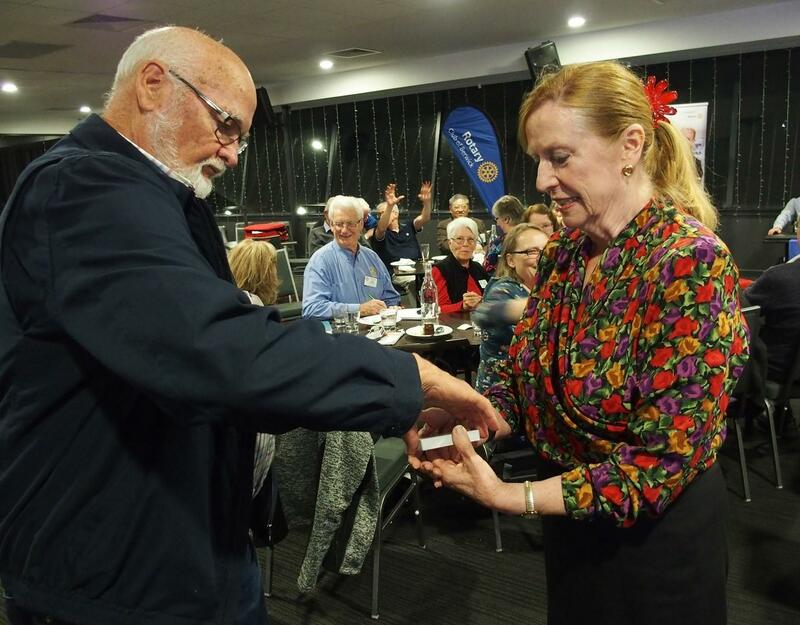 PP Adrian Funston (Funno) held up the trophy that we won at last year's bowls competition with the Rotary Club of Monbulk. He emphasised that we want to retain the trophy and therefore we need a good turnout, so that we can field a strong team. Friends and family are welcome to participate and you don't have to be a bowls player! 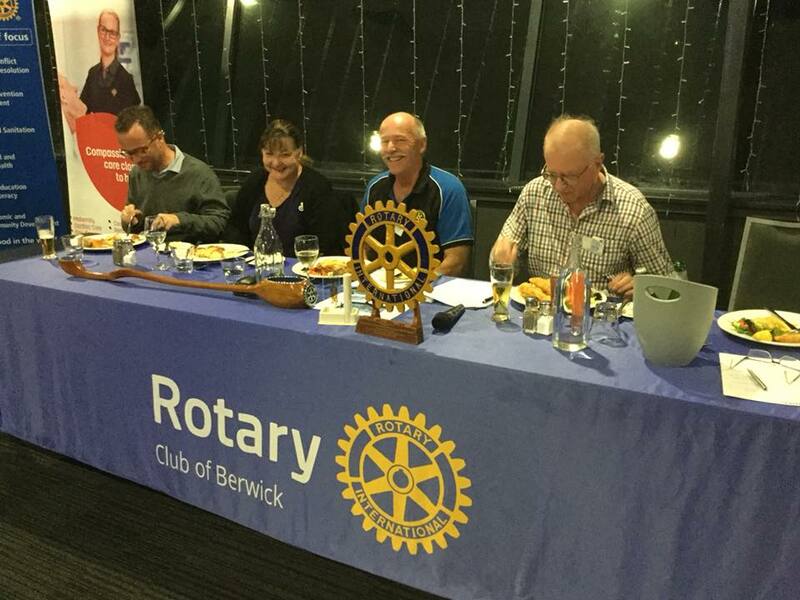 You must advise Fred at attendance@rotaryberwick.org by Monday, whether or not you are going, so that catering can be organised. You should arrive between 6:30 - 6:45 pm for the 7:00 pm meal and it is recommended that car-pooling be arranged. It is essential that flat soled shoes be worn and no alcohol is allowed on the bowling greens. 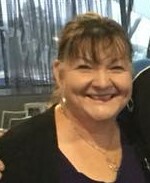 Since it is Funno's mother, BJ's birthday and her late husband Alan initiated the bowling competition over 40 years ago, she will present the trophy to the winning team. Let's make sure that it is us! 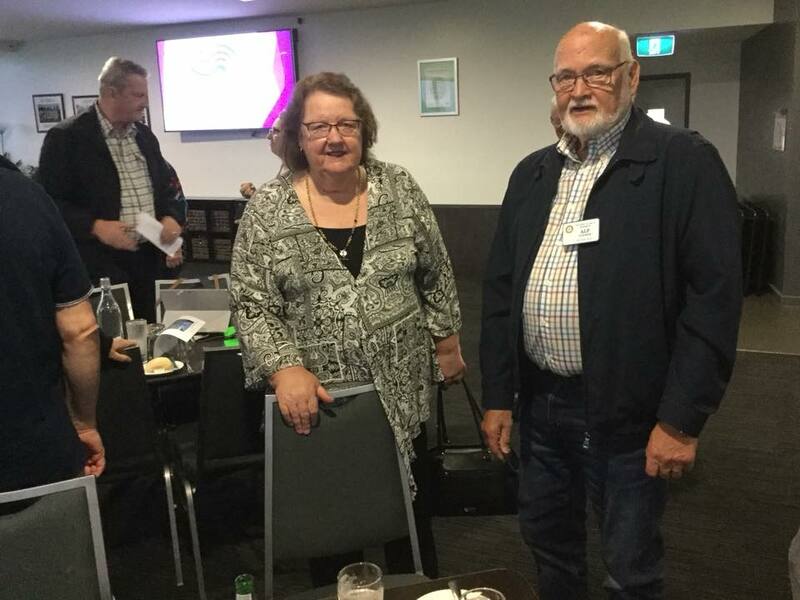 PE Isobel Caulfield reported on a Forum organised by the City of Casey that she and PP Ricardo Balancy attended on behalf of the Club. 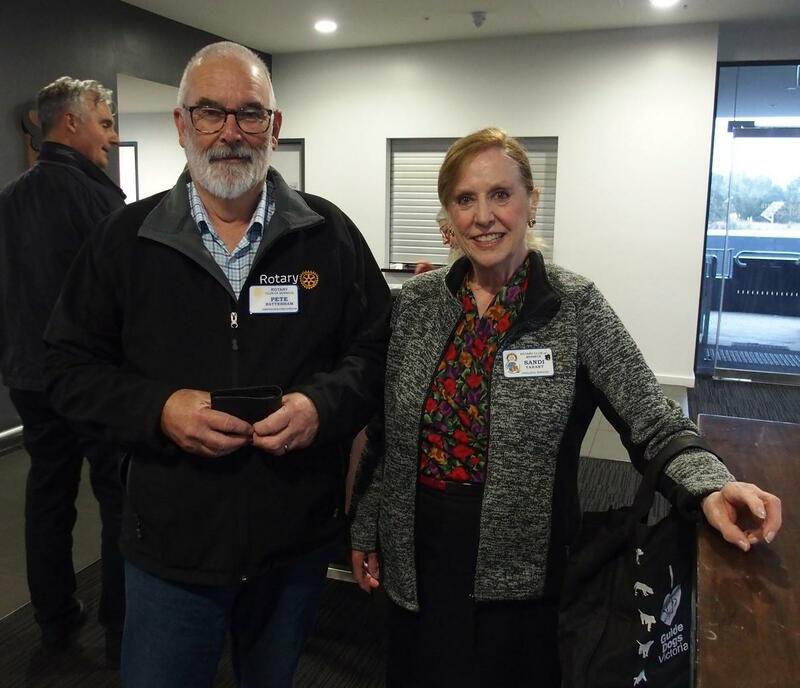 She reported that there are 17 Community Service Clubs in the City of Casey and 14 of these were represented at the Forum. 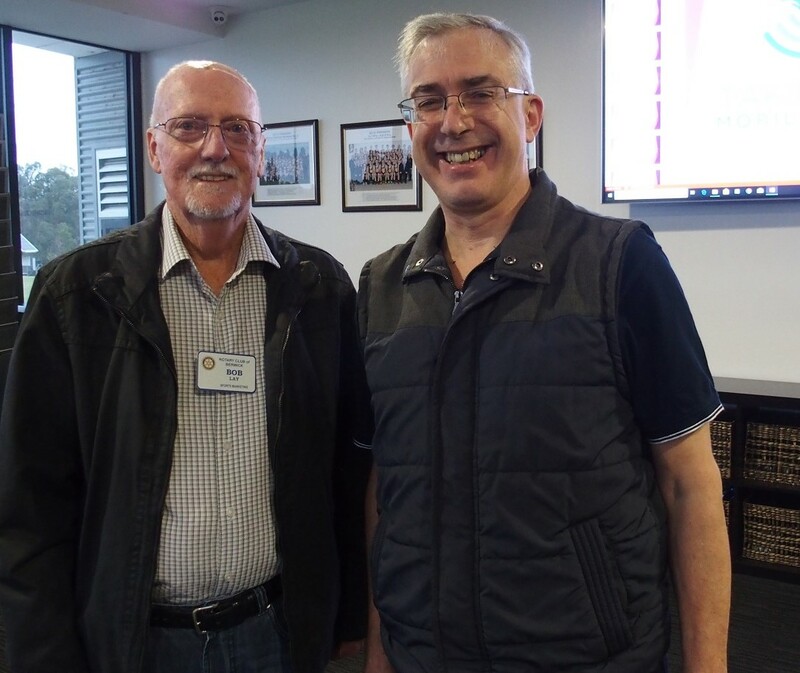 The purpose of the Forum was to identify how the City of Casey could help the Community Service Clubs to meet their goals. 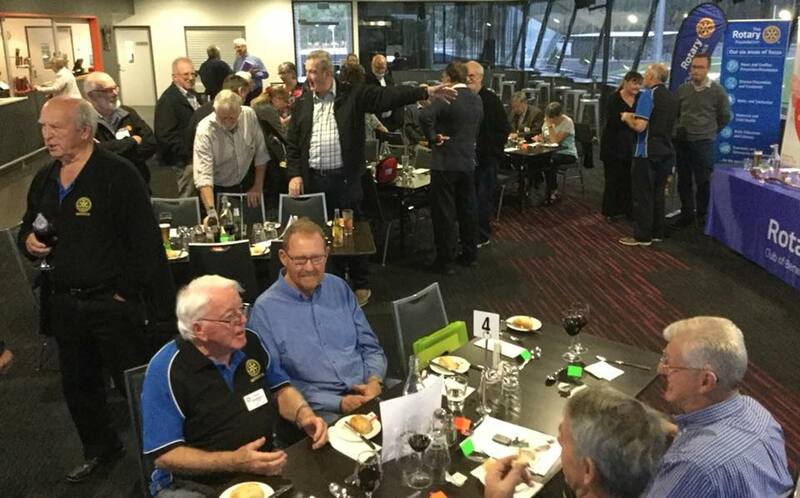 Representatives from each Service Club were videoed summarising what their Club's major achievements were and what they got out of being members. 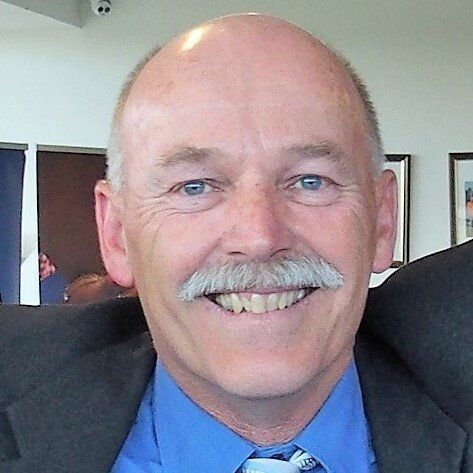 The intention being that the video would be edited down to 2-minutes duration for placing on the City of Casey web site. Isobel considered the Forum well worth attending. PP Gus Dominguez reported that the shipping container of furniture and equipment for the hospital has now arrived in Honiara. However, there has been some delay in processing the container. As soon as it has cleared customs, it will be delivered to the hospital. 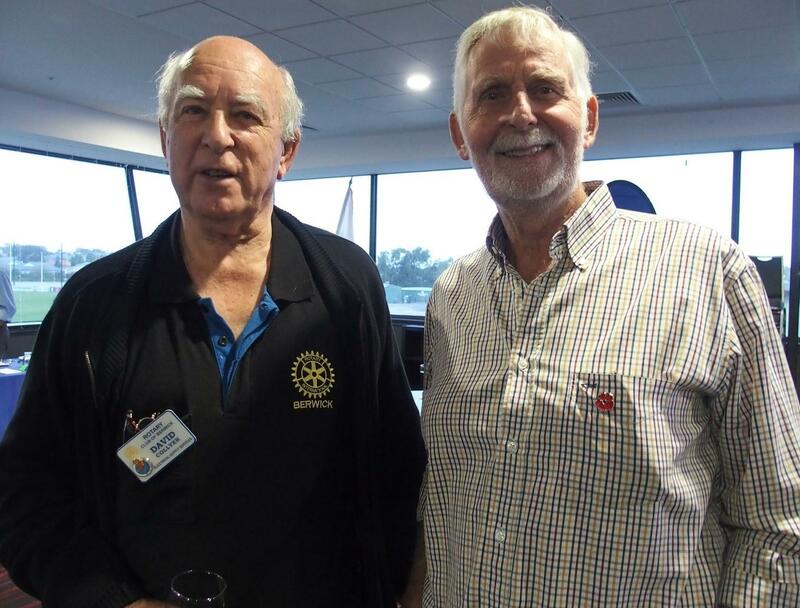 Dr Goldsmith, from the Rotary Club of Ballarat West, will be travelling to Honiara in mid-April to manage the installation of the dental chairs in the clinic and to assess what else is needed for the hospital. Clare Ganderton reported that our international exchange student, Tara Wilkinson, is having a wonderful time at school in Grand Rapids, USA and is learning so much more than she had expected. She participated in presenting a paper on 'Education in New Guinea' for the World Food Prize, giving her insights into the problems and providing possible solutions. Tara has also had her first track and field competition where she achieved a first and second in sprinting races and was the best long jumper at the school. She has joined the school's Interact Club and has also been volunteering for the Rotary Club of Grand Rapids. In addition, Tara has been visiting several cities with her host family and has had her first snowboarding experience, which she loved. 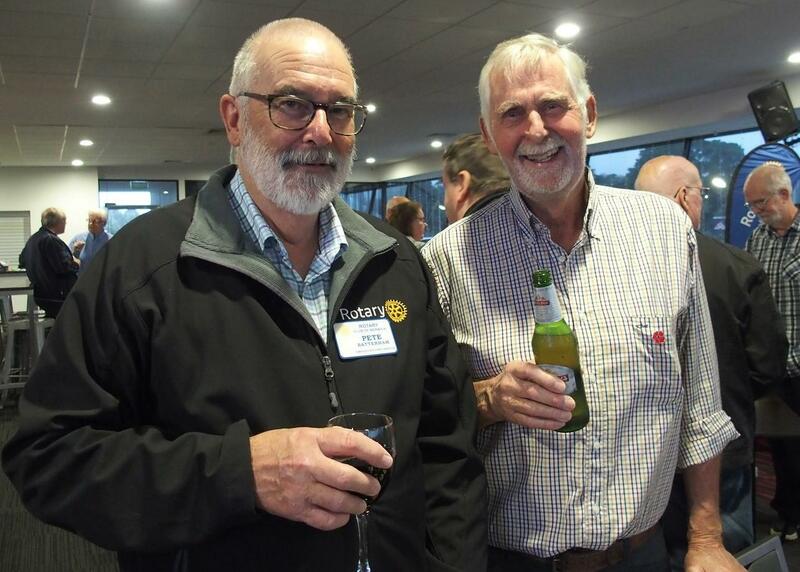 Russell Dunn, who is a member of the Upper Beaconsfield Men's Shed, stated that the organisation has all the wood and metal working machines it needs, but has a shortage of projects to use them on. 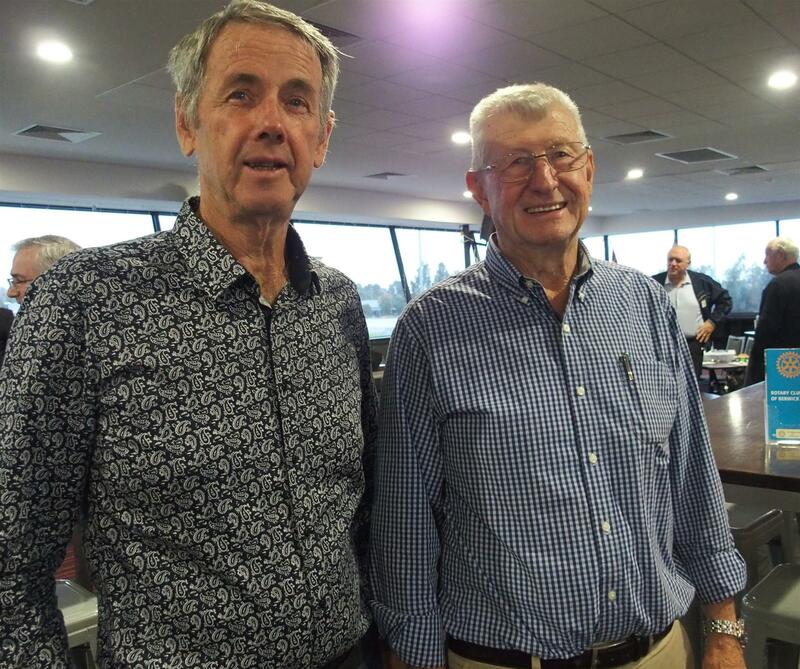 He queried whether the Club members could come up with some projects that the Men's Shed could undertake. In response, it was suggested that the production of toys for distribution to needy children at Christmas would be worth considering. 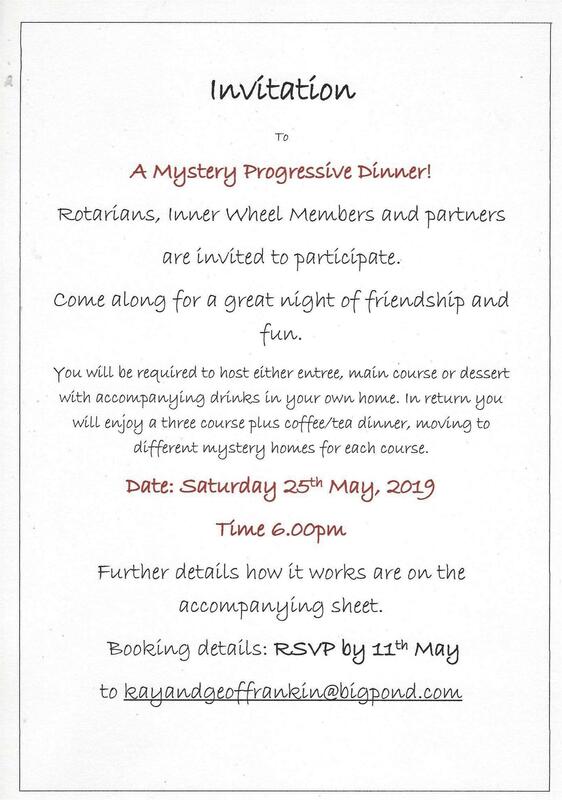 These could be collected and distributed through the Berwick & District Benevolent Society Inc.
Di Double drew the winning ticket B02, which belonged to Alf Giesen. 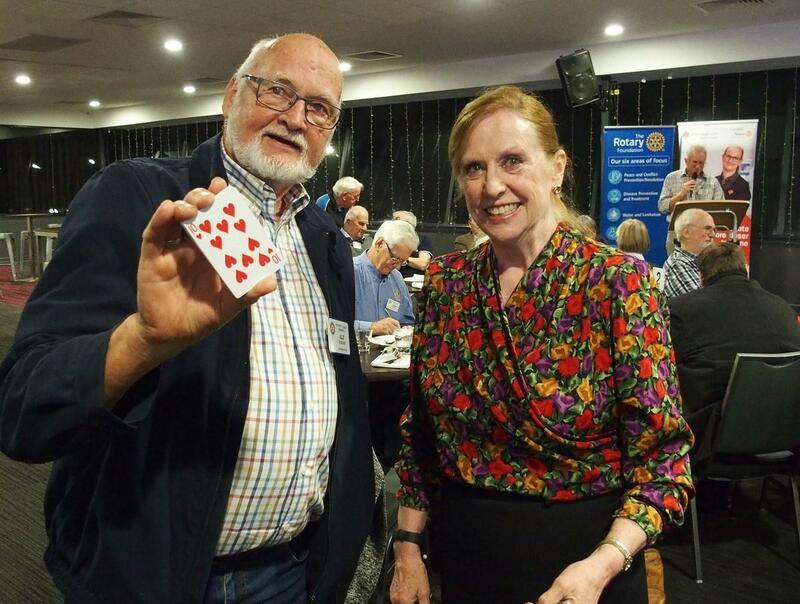 Alf carefully drew a card from the deck which, unfortunately, was the 10 of Hearts. The Jackpot remains safe at $396.25, as there will be no Jokers Wild for the next few weeks. Our Guest Speaker this week was Sandra Allars. 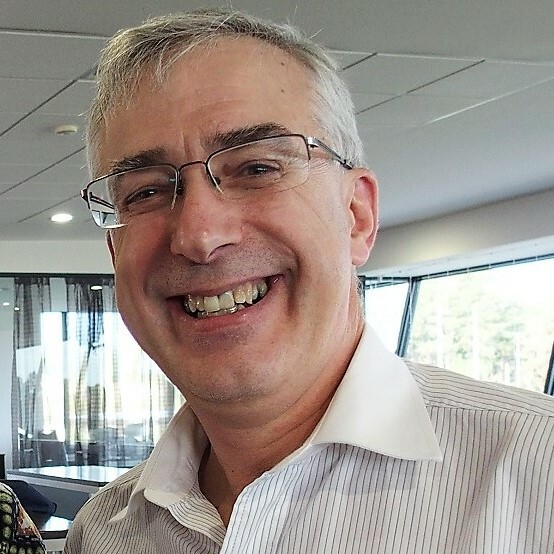 Sandra has worked in graphic design and customer service roles at a variety of organisations. After the birth of her third daughter in 2001, she trained as a massage therapist and subsequently started her own business in 2004, which is now called "Taking Care Mobile Massage" (TCMM). 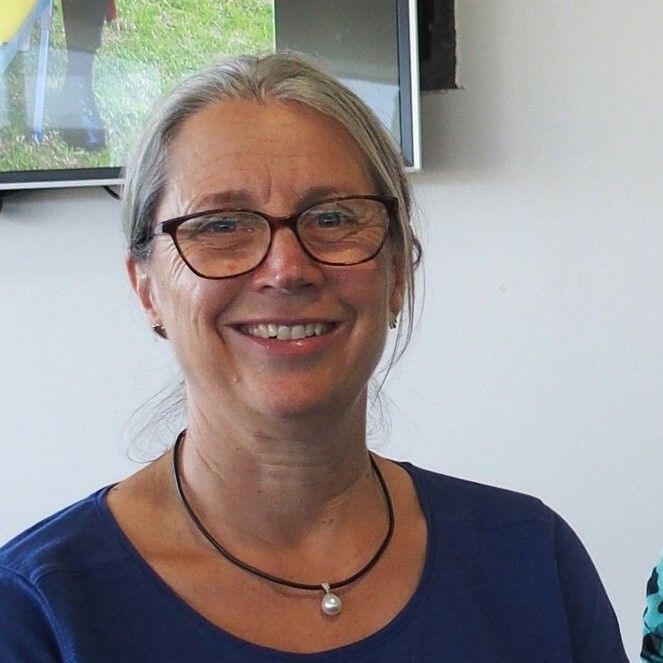 Sandra is the founder and Director of TCMM and her husband Simon is the Accounts Manager, while Rebecca Watson runs the Support Office. Since 2014, TCMM has shown remarkable growth and now has service agreements with 36 companies to deliver home massage to hundreds of clients across Melbourne, using a team of over 30 massage therapists. 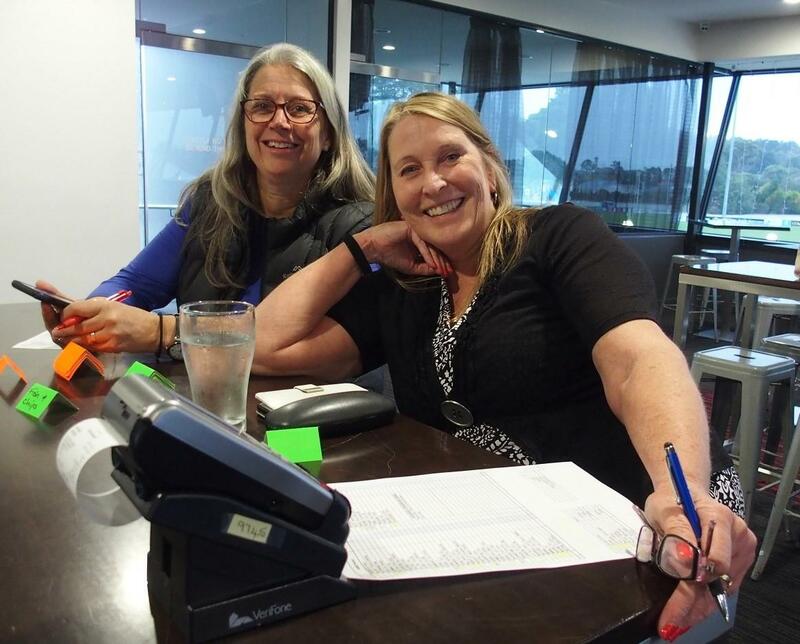 All the TCMM therapists must be members of a professional Australian Massage, or Myotherapy Association and have achieved at least a nationally recognised Certificate IV in Massage Therapy Practice. Bring massage to those that are less mobile. It is estimated that the proportion of the world's population over 60 years old will nearly double between 2015 and 2050, from 12% to 22%. Therefore, countries must have in place social systems that will cope with these changes. In Australia, Commonwealth Home Support and Home Care Packages are available. 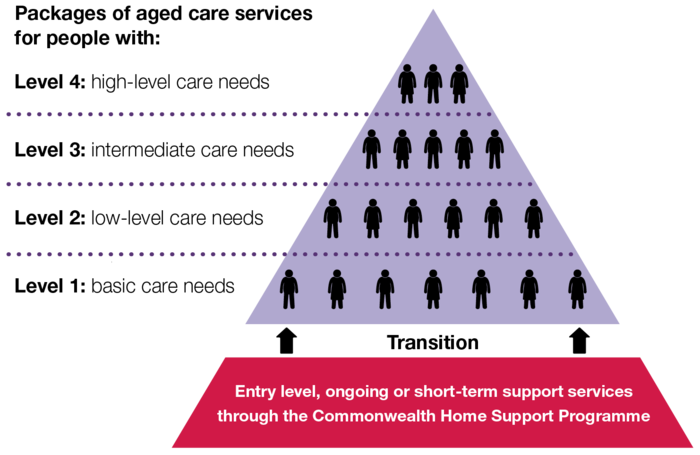 The Commonwealth Home Support Program is designed for people who can mostly manage on their own but just may need some short term help or basic ongoing assistance with one or two services. Home Care Packages are coordinated packages of care and services to help the aged to live independently in their own home for as long as they can. 2.4% of the population aged 65 and over received Home Care support in the 2013-2014 period. All home care packages must be provided on a "consumer directed care" basis. Consumer directed care allows those receiving services to make choices about the types of services they want and who should provide them. From February 2017, Home Care Packages are allocated directly to the individual, rather than to the home care providers. The individual then chooses a provider to manage these funds. Now that package funding is assigned to the consumer rather than the provider, the resulting competition gives the consumer a much greater bargaining power and they can “shop around” to make sure they are getting the best services for their money. 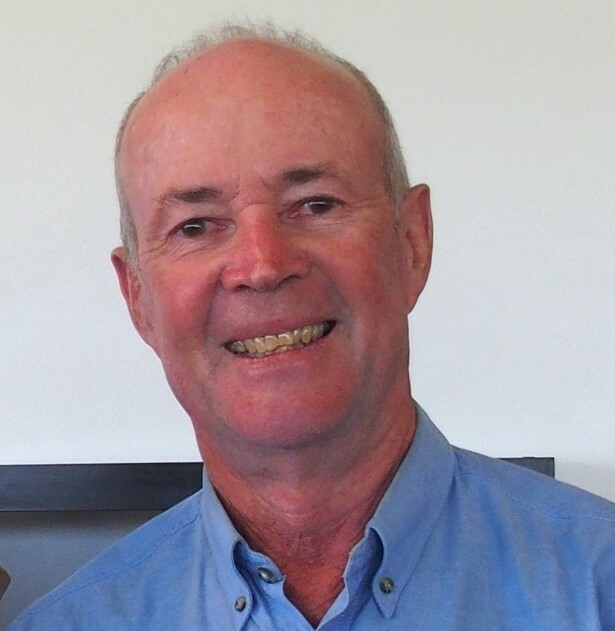 An Aged Care Assessment Service (ACAS) assessment and approval is required if the person has complex aged care needs and wants to access aged care services through any level of Home Care Package. There are four levels as shown in the diagram. Each level of home care packages provides a different subsidy amount, so the amount of funding a Home Care recipient receives depends on their assessed level of need..
Massage is one of the clinical services included. The aim at TCMM is to make the last quarter of life, the best quarter. The massage service is, of course, only one small part of someone’s life, but it is a significant one. The relationship between client and team member is real and it has a direct impact on their wellbeing. Everyone has influence and it’s so important to remain aware of the influence the therapists are having every day. To help reduce this rate, Rotary provides immunizations and antibiotics to babies, improves access to essential medical services, and supports trained health care providers for mothers and their children. Rotary’s projects ensure sustainability by empowering the local community to take ownership of health care training programs.